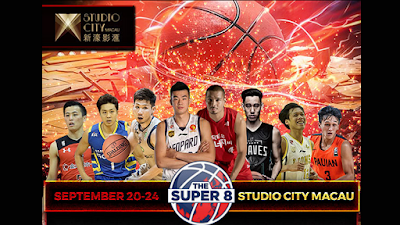 "Line-up of Asia’s greatest players and coaching talent graces Macau for the first time in history; games to be shown to fans across the region"
Hong Kong, September 8, 2017 – The tournament where the elite basketball squads compete, the Super 8 is releasing the team rosters / line-ups and broadcast partners for the much awaited upcoming event this September 20-24 at Studio City Macau! 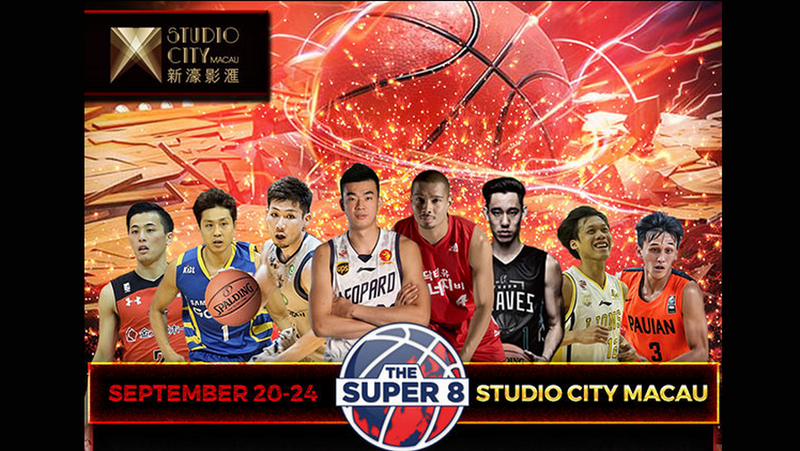 This is projected to be the biggest basketball event of the year. The line-up features action-packed matchups from championship teams from China, Japan,Korea and Chinese Taipei. 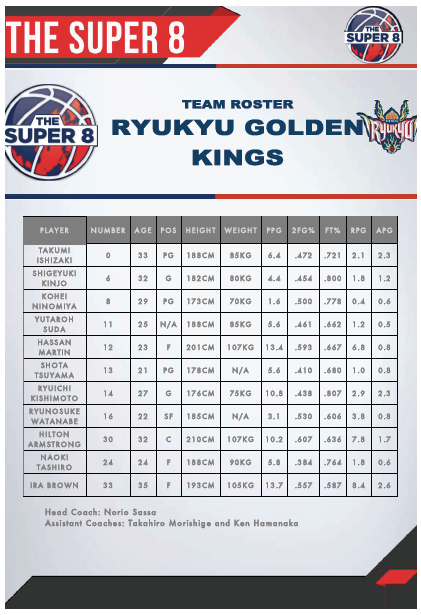 They will be divided into two groups of four, each playing three round-robin games. 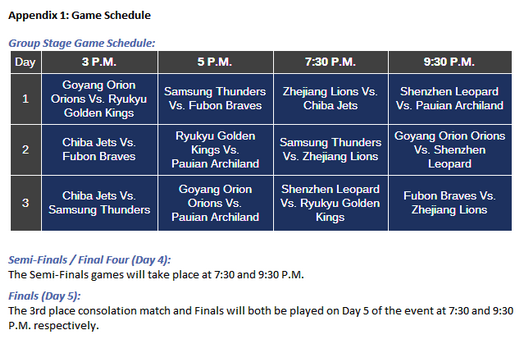 The top two teams from each group will advance to the final four, which will play the following day in a winner-take-all semi-finals and finals. 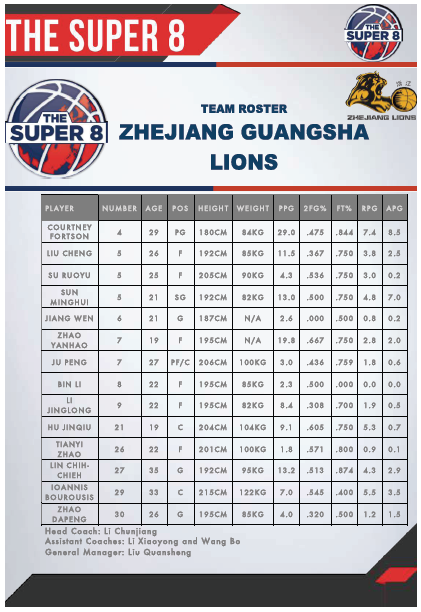 The three-day long group phase will see teams from separate leagues face off for the first time so it will be very interesting. 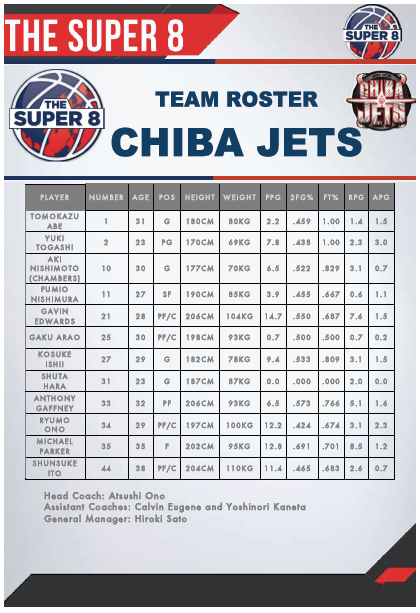 Japanese all-stars, Ryuichi Kishimoto (Ryukyu Golden Kings) and Yuki Togashi (Chiba Jets) will take on CBA all-stars Li Muhao (Shenzhen Leopard) and Hu Jinqiu (Zhejiang Guangsha Lions). 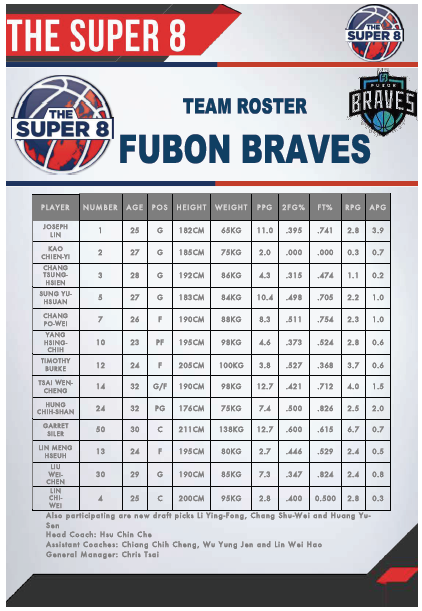 Please note that rosters are subject to minor changes due to injury or other reasons that are unpredictable at this time. 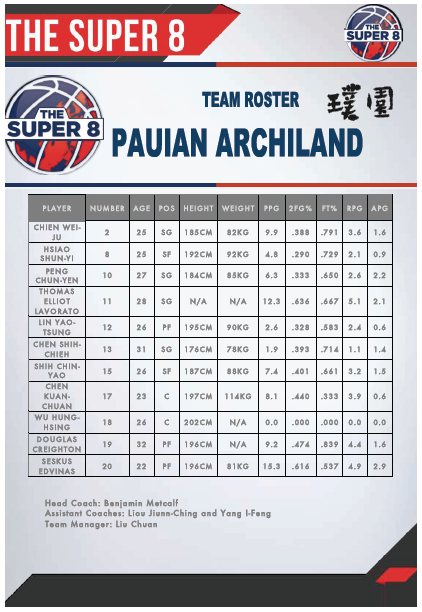 The tournament will be featured on major broadcast networks in each market and around the globe to bring Asian basketball to fans everywhere! There will be more broadcast deals announced prior to the event. 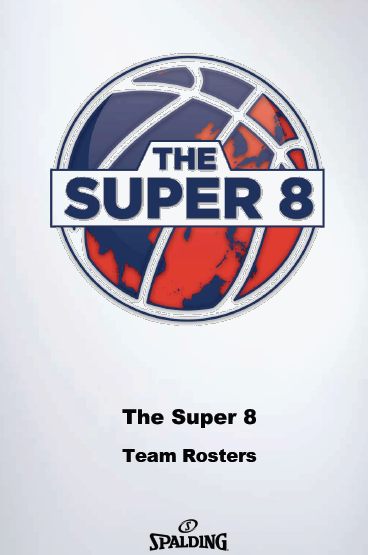 The Super 8’s live streaming broadcast will be available on primetime TV and digital platforms in all The Super 8 markets and across the globe, expanding the range of viewing possibilities beyond the participating markets. 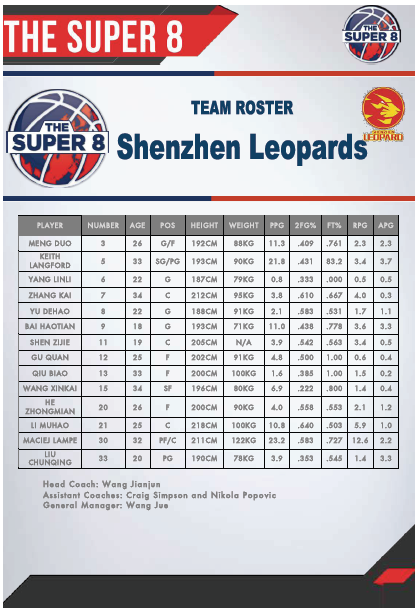 Please visit The Super 8’s website for more information: www.the-super-8.com. More fan events at Studio City Macau’s Pacha Macau nightclub and other interactive activities will be announced in the days to come! 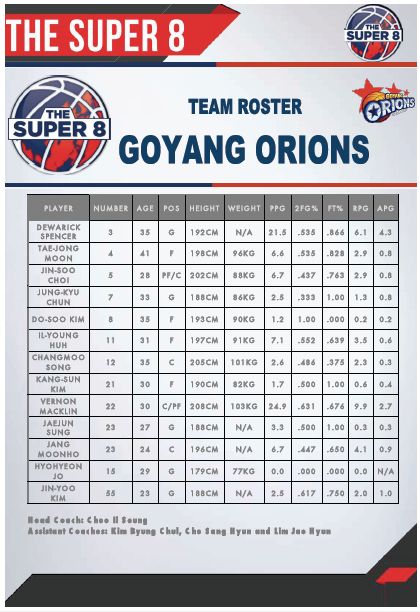 For press inquiries or more information about The Super 8, please contact Liam McGrath or Alex Olin at liam@theasialeague.com or alex@theasialeague.com. 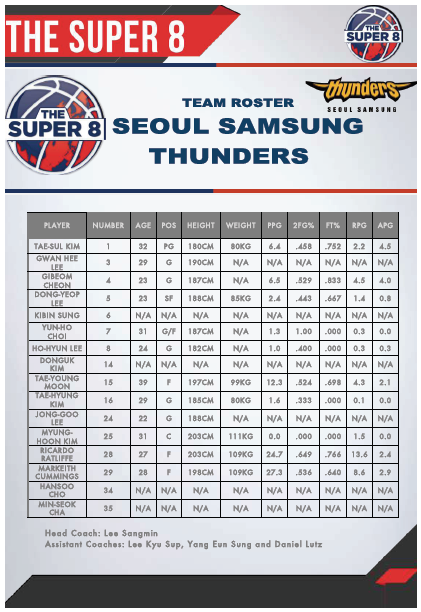 For the team rosters / line-ups you might want to check out the details below presented by Spalding!